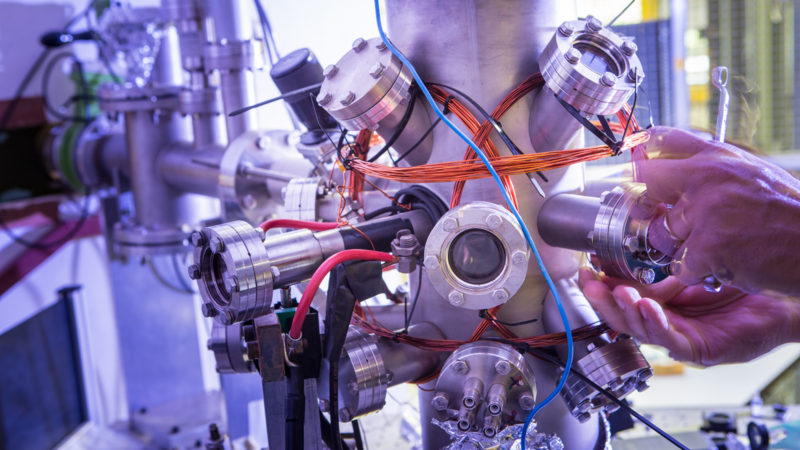 In the EUV targets group we work on the generation and detection of ultrahigh-frequency (10-500 GHz) sound waves in metals and other materials. These sound waves can be used to "see" through layers that are otherwise opaque to visible light. The extremely short wavelengths of the acoustics waves, smaller than the wavelength of visible light, ensures that they can be used to detect buried structures as small as 75 nm. In this MSc project, you will push the frequency bandwidth of these acoustic pulses to 1 terahertz (THz) and beyond. This can be done by choosing a proper material and the right material thickness. For this project you will learn to build and operate a femtosecond high-power pump-probe laser setup to optically generate and detect these extremely high frequency pulses. You will also learn to occasionally work in a cleanroom to fabricate thin layers using advanced deposition techniques and to use state of the art inspection techniques such as SEM, XPS, and AFM to characterize them. The research activities of the EUV Targets group currently focuses on laser induced damage and on laser-induced extremely-high frequency ultrasound for the detection of nanostructures below opaque layers. The group uses state-of-the-art high-power femtosecond laser systems to achieve this. You will work in the EUV Targets group team at ARCNL but you’ll also have the opportunity to visit and interact with scientists and engineers working at ASML, the world leading manufacturer of high tech lithography machines for chip making. You have a Bachelor’s degree in physics or a related field and participate in a Master study. The internship must be a mandatory part of your curriculum. You have a nationality of an EU-member state and/or you are a student at a Netherlands University. You must be available for at least 6 months. At the start of the traineeship your trainee plan will be set out, in consultation with your ARCNL supervisor, including a small allowance.